Caseology, a popular mobile accessory brand known for its stylish, yet functional portfolio of protective cases for all major smartphone models, is announcing a new edition of Samsung Galaxy S9 and Galaxy S9+ cases. This latest series features four revitalized flagship designs of Caseology's classic Parallax, Legion, Vault, and Skyfall models – featuring finely crafted textures, colors, and product engineering to suit any function or style. At the perfect intersection of premium quality, attractive design and excellent protection, Caseology's cases reinvents the perfect blend of thermoplastic polyurethane (TPU) material, polycarbonate, and rich texturing for enhanced ergonomics, military-grade protection, and fashion forward aesthetics. 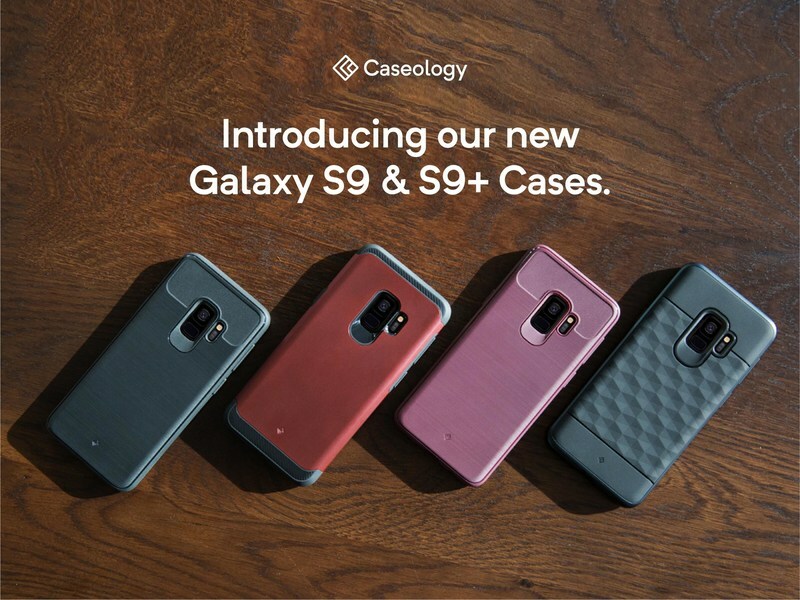 Visit Caseology to see the entire collection of Galaxy S9 & Galaxy S9+ cases available now for purchase.